Lottisham Manor was originally built as an Open Hall House in the 15th century and incorporates architectural details from alterations made during the late 16th and the 17th centuries. 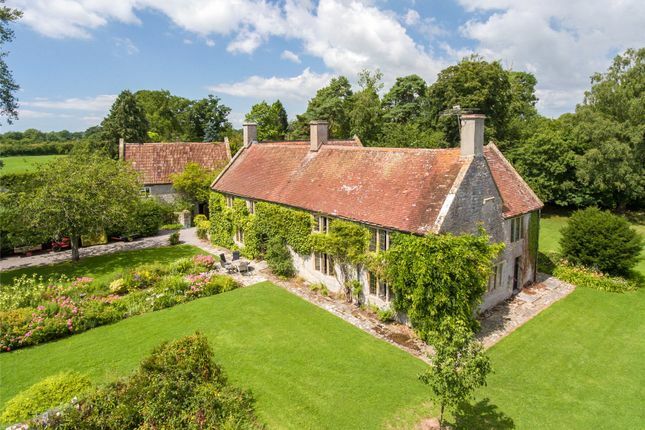 Set in established gardens and open pasture land all of which combine to make Lottisham Manor a most appealing home offering with history and immense charm. Lottisham Manor is situated in the hamlet of Lottisham which has a small church. The nearby village of Baltonsborough provides a pub and primary school. The historic and cultural city of Bath provides extensive shopping and restaurants. More locally, Castle Cary, Street and Bruton provide a range of excellent local shops, pubs and restaurants, including the renowned Hauser and Wirth Art Gallery and the Roth Bar and Grill. Wells and Gillingham both provide quality supermarkets. Excellent schools in the area include Hazelgrove, Kings Bruton, Millfield and Wells. Schooling is also available further afield in Bath, Bristol, Shaftesbury and Sherborne. The surrounding countryside provides an array of sporting amenities including first class national hunt racing at Wincanton and excellent pheasant and partridge shoots. Golf clubs locally include Wheathill, Mendip, Wells and Sherborne. Road and rail links from Lottisham Manor are excellent; with a regular direct service to London Paddington from nearby Castle Cary Station (approximately 8.5 miles). Access to the A303 provides fast links to London and the West Country. Bristol Airport is approximately 26.5 miles away. A detached stone built coach house provides garaging, workshop and storage space on the ground floor. The first floor, which is accessed by a wide external stone staircase is arranged as a one bedroom flat with sitting room, kitchen area, bedroom and a bathroom. Within the gardens is a stone-built building arranged as a stables with three loose boxes (with power and water). There is a wooden stable block providing two further loose boxes and a tack room. 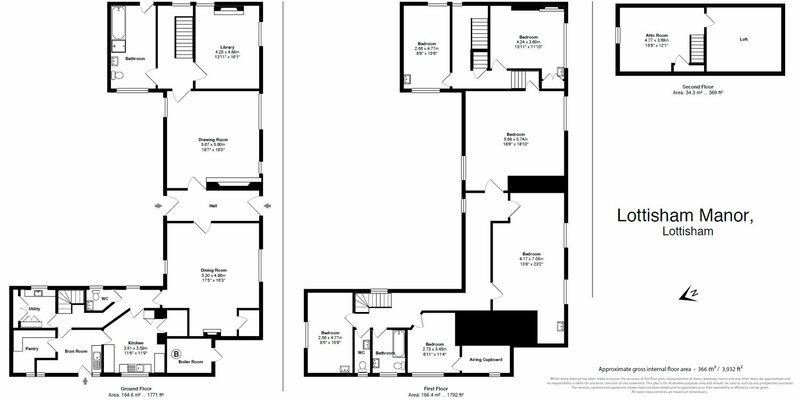 Property descriptions and related information displayed on this page, with the exclusion of Running Costs data, are marketing materials provided by Strutt & Parker - National Country House Department, and do not constitute property particulars. Please contact Strutt & Parker - National Country House Department for full details and further information. The Running Costs data displayed on this page are provided by PrimeLocation to give an indication of potential running costs based on various data sources. PrimeLocation does not warrant or accept any responsibility for the accuracy or completeness of the property descriptions, related information or Running Costs data provided here.